Since I unboxed my Google Pixel smartphone, my iPhone 6S Plus has been sitting unused in a drawer. That will tell you something about Google’s first effort to manufacture its own Android smartphone. 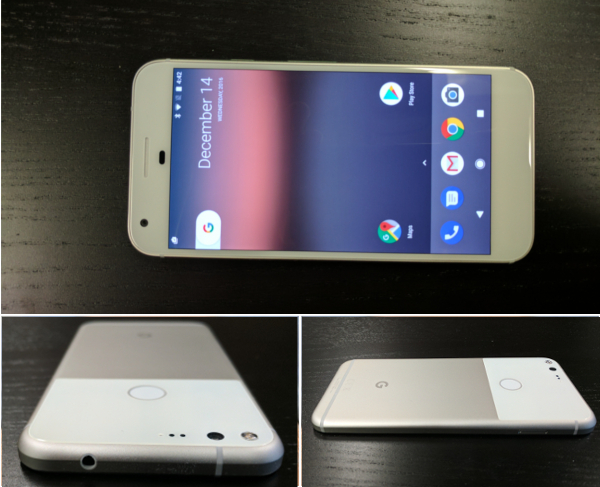 The announcement of the Pixel came somewhat out of left field earlier this year. Prior to this device’s launch, Google Inc. seemed content to push out its free Android operating system and let OEMs make the hardware. Sure, there was that whole episode where it bought Motorola Mobility in 2011 and released the well-received Moto X. But that ended abruptly with the sale of that division to Lenovo, making the whole episode seem like an unusual departure from Google’s strategy to just get Android onto as many devices as possible, no matter who makes them. Except this year it launched the Pixel, proving that it apparently didn’t need to acquire a team of experienced device makers (Google designed the Pixel, HTC manufactured it) to push out one of the best phones on the market. The Pixel deserves that description, and if anyone asked me for a recommendation of what phone to purchase right now and budget wasn’t a priority, I’d recommend the Pixel. 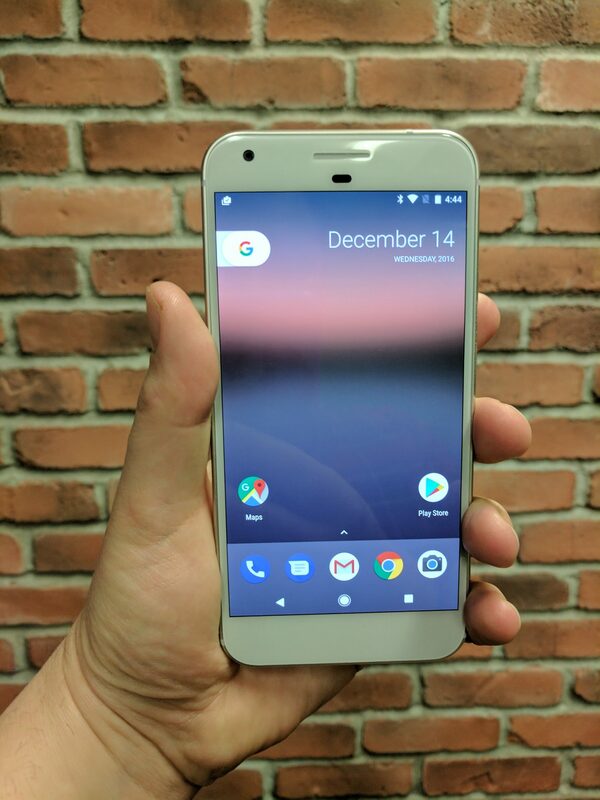 Available from every major carrier in Canada, read on to understand why Google’s Pixel is the Android phone to beat for 2016 for business users. I reviewed the Pixel XL model. Build Materials & Colour Aluminum unibody with 2.5D Corning Gorilla Glass 4. Availability & Pricing Bell, Eastlink, Fido, Koodo, MTS, Rogers, SaskTel, Telus, Wind Mobile, Videotron and Virgin Mobile. Buy unlocked from Google starting at $899. The design of the Pixel is what you’d expect from a new and premium smartphone. Google didn’t break any innovative ground here – the thing pretty much looks like an iPhone. But there are a couple of subtle design tweaks that I think improve the user experience. The fingerprint sensor that unlocks the device and can be used to access the pull-down settings menu is on the back of the device instead of its front. As a result, unlocking the device feels very natural as you scoop up the Pixel and find the dip with your pointer finger. It’s also worth noting there’s still a headphone jack on the Pixel, and I use it all the time. The real killer feature of the Google Pixel is the Google Assistant. An AI-fueled combination of voice-activated assistant and the relevant content-pushing “Google Now” service that mostly lives in the screen to the left of your home screen, it just works better than Siri. Siri never understood me like Google Assistant does. I’m confident dictating text messages to it and having it get the message right and send it to the right contact. I’m confident in dictating text messages to it and having it get the message right and send it to the right contact. The other day, I asked it which hand Luke Skywalker had cut off by Darth Vader and it actually responded by telling me in audio, not just with the list of Google search results I expected. You can also use your voice to set appointments in your calendar, place a call, or translate between languages. The Google Now service always has the current weather ready for me, and predictions for how long my commute to and from work should take. It pushes me updates about Toronto Raptors games and highlights videos from the latest game. When I was traveling in London recently, it knew which museum I was visiting and provided with me an indoor map. It looks in my calendar for upcoming flights and informs me of their status. It’s just really useful, and it’s not available on any other phone. Another feature the Pixel offers that’s unique from other Android devices is new touch-sensitive shortcuts for Google Mail and Calendar. If you long-press these icons, you can jump to an action like composing an email or creating a new calendar reminder. This was easy to pick up on and immediately became a time-saving feature for me. I hope we start to see more shortcuts like this in the future. Google promoted the camera as one of the Pixel’s killer features at its launch, saying it received a “best-ever 89 DxOMark Mobile score.” This is true – the Pixel is at the top of DXO Mark’s rankings by one point, followed by the HTC 10, Samsung Galaxy S7 Edge, and Sony Xperia X Perf. with tied scores of 88. (The iPhone 7 got a score of 86). You can read its extensive image assessment for more details about the camera. In practice for me, I was very happy with the Pixel’s camera. It takes photos the instant you tap the shutter button, instead of struggling to autofocus and collect lighting information. It also taps into Google’s cloud powers and Pixel owners are provided with unlimited cloud backup for their smartphone snaps. This solves the problem of your photos clogging up device memory and then you struggling to decide which memories must be deleted forever. Combined with the cloud storage platform, the camera will provide you with some nice surprises. The Pixel will detect when your subject is moving and shoot a burst of several images so you’re more likely to get one that looks sharp. The real fun is when that burst is automatically combined into an animated GIF on Google Photos. That’s how I ended up with this GIF of a majestic brown squirrel, gracefully scavenging its way across a snow-covered landscape of garbage bins in the back alley behind my apartment. 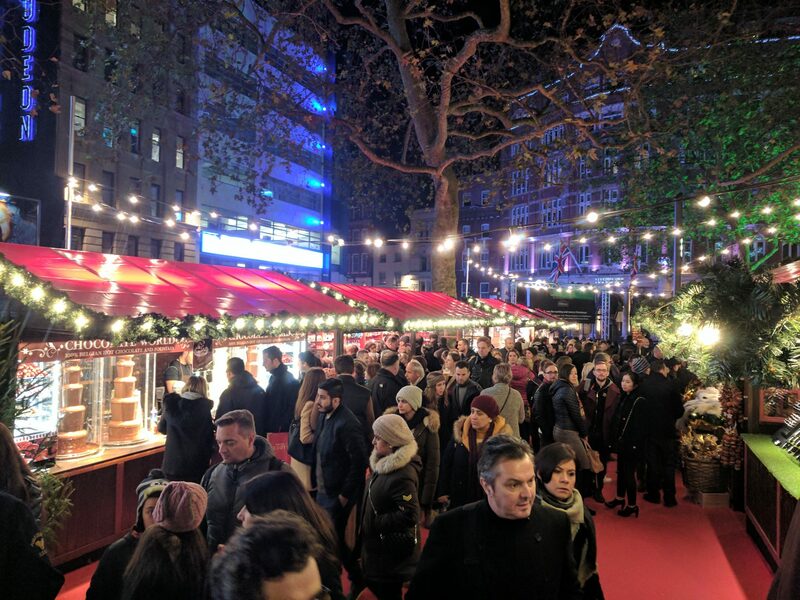 A night shot with additional lighting at a London Christmas market. Click for a larger image. The camera captures excellent detail and I’ve been trusting it to capture documents in place of a scanner. Not only is it more convenient, but the details captured are nearly just as good. 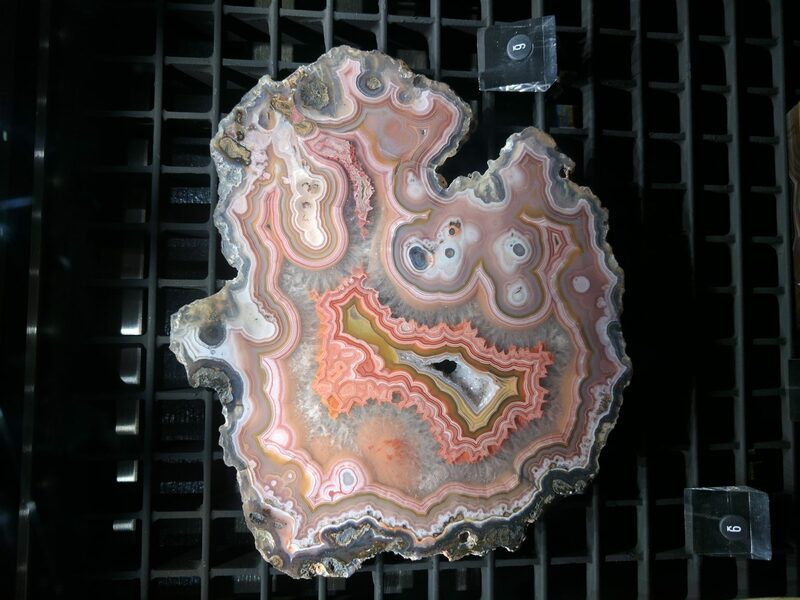 A macro shot of a mineral on display in a museum. Complaining about the Pixel feels unseemly. Like, if someone handed me a magic wand that could cast spells and I complained it wasn’t my favourite colour. Yet there are some shortfalls of the Pixel worth pointing out. Many flagship devices released this year, including the Galaxy S7 models from Samsung, are waterproof. The Pixel is not. Of course, until this year we all accepted that we couldn’t drop our smartphones into a puddle and have them come out working. Still, Google will have to address this disadvantage compared to its competitors if it wants to keep pace in future models. There’s no physical home button on the device and no fingerprint sensor on the front, yet the size of the bezel seems large enough that one could be included. Google could have designed the bezel to hug the screen much tighter. Also, there’s no micro SD card slot to expand your memory, and since the only choices are 32 GB or 128 GB of storage, you really want to get the higher storage option. On the software side of things, I found Android to be too liberal in its default to have all notifications turned on. Every new app I install seems to automatically have the ability to push notifications onto me, when I’d prefer to be asked at the time I installed the app. You can dive into the settings and take control of your notifications settings at least. It’s also worth mentioning there is no Google Pay capability in Canada yet. While Apple Pay finally became available to many recently and I’d started tapping my iPhone at the till to complete transactions, that’s just not possible with the Pixel right now. Google Wallet also lacks some of the functionality of Apple’s Wallet, which can store away e-tickets, plane boarding passes, and some loyalty cards, in addition to compatible credit cards. Samsung finally has a real competitor for the title of best Android phone on the market. I’m sure the Pixel was a device that many went rushing to after the Galaxy Note 7 recall, and I bet Samsung is worried about Google’s entry into the hardware market. Aside from what it means for the wider Android eco-system, this is just a great device that anyone would be happy with. Business users will find the AI helps them track key details in their day and saves them time in organizing a busy schedule. Highs: Solid aluminum unibody design with smart fingerprint sensor placement, industry-leading AI assistant, great camera, time-saving shortcuts. Lows: Larger than needed bezel, no waterproofing, limited storage options, noisy default notification settings, pricey.